Brownsea II (pronounced Brownsea Double Two) is a National Youth Leadership Training course run by the San Francisco Bay Area Council that has been held at Wente Scout Reservation since 1976. It is a unique and exciting, hands on approach designed to teach youth leadership skills through the actual practice and use of Scout skills. Skills most closely concentrated on are camping, hiking, nature study, pioneering, and cooking. This course closely parallels the first Scout camp conducted by Lord Baden Powell in 1907. This program places special emphasis on Scout skills, teaching, and practice: the purposes of Scouting: and the role of the patrol method within the troop program. It is not done by classroom lecture, but rather by programs of skill, leadership exercise, and patrol competition. Scouts who complete the program will have a better awareness of their own strengths and weaknesses for their personal leadership styles. 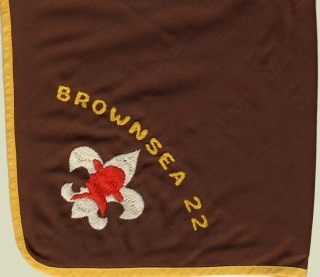 The name “Brownsea” comes from the island in Southern England and seven miles from the English Channel, where Robert Baden-Powell held a scout encampment in 1907 which was attended by 21 scouts and Baden-Powells 9 year old nephew. During this week long encampment Baden-Powell taught scout craft and other scouting skills to the boys. The Brownsea encampment is recognized as the world's first Scout camp and is regarded as the origin of the worldwide Scouting movement. 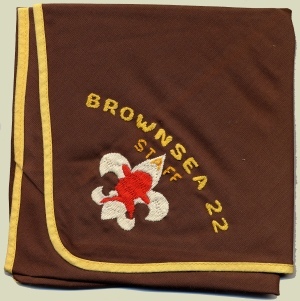 The Troop number of Brownsea is 22 which is the number of Scouts at that first encampment.